This week at The Training Room we are talking about nutrition and how alongside exercise, your food has to be clean and lean to really get the results that you want, not only looking good on the outside but on the inside as well. A good starting point is knowing what foods are good and bad for you and avoiding jumping on the bandwagon of the latest fad diet. 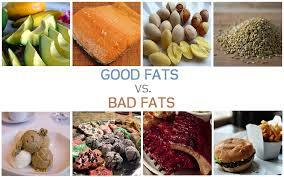 One major issue is knowing what counts as a good fat or a bad fat. Bad fats are those saturated fats and trans fats traditionally found in junk food; chocolate, processed foods, and fast food. They have no nutritional value in your diet….just empty calories that will spike your blood sugar levels and leave you craving more. Good fats on the other hand are foods rich in unsaturated fats and omega-3 fatty acid found in avocado, coconut (including water, oil etc), oily fish, and nuts such as almonds. Alongside vitamins and minerals, these good fats all play vital roles in your body’s functionality and overall keeping your body healthy. The latter information fails to reach the general public like the publicity that surrounds the latest fad diet. You may have heard of the South Beach Diet, the Atkins Diet, LighterLife, the GI diet, just some of the fad diets that have taken the dieting world by storm. All these diets will let you lose weight so why do 95% of them fail? Diets are too complex with measuring and counting of calories, grams, blocks, quotas etc. Although the original purpose of the diet was to prevent heart disease in Dr. Agatston's own patients in the early 2000s, word of the diet spread and quickly gained popularity as a means to lose weight. The South Beach Diet is relatively simple in principle. 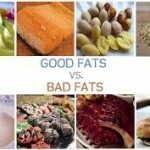 It replaces "bad carbs" and "bad fats" with "good carbs" and "good fats" in a 3 phase process. Effectively, Lighter Life combines a very low calorie diet (VLCD) with counselling. Depending on the plan followed, normal food is banned or limited and instead you have four meal replacement shakes, soups, mousses or bars every day providing around 500 calories in total. They say that these contain the protein, fatty acids, vitamins and minerals needed on a daily basis but everyone should know that you need to consume at least 1000 calories in addition to this a day. The counselling is aimed at helping you understand the relationship you have with food, so you can make lasting changes to keep the weight off for good. The Lighter Life Total diet is only recommended for adults who are verging on obesity and have approximately 3 stone to lose are suitable for the programme. The South Beach Diet is better and more in keeping with what I outlined above whereas Lighter Life is in fact very dangerous and has resulted in people dying on the diet! The issue is the term ‘diet’….why should it be called a diet? Eating well should be a way of life. Of course you have to live so I believe in an 80:20 split. Ultimately the answer links back to the start of this article….it isn’t about ‘dieting’ but knowing what to eat and what not to eat and making it a lifestyle change rather than coining it with the term 'diet'. Inspiring your clients to live a healthier lifestyle with a better relationship with food is all part of being a PT. Why not learn all about becoming a PT and see if you could turn your passion for health and fitness into a successful career.